A Promotional Image for “The Marge-ian Chronicles” has been released! A Promotional Image for the upcoming 16th episode of season 27, which is titled “The Marge-ian Chronicles“, has been released on the special guest star Scharpling’s twitter. The episode airs on March 13, 2016. Visit our article of the plot of the episode. 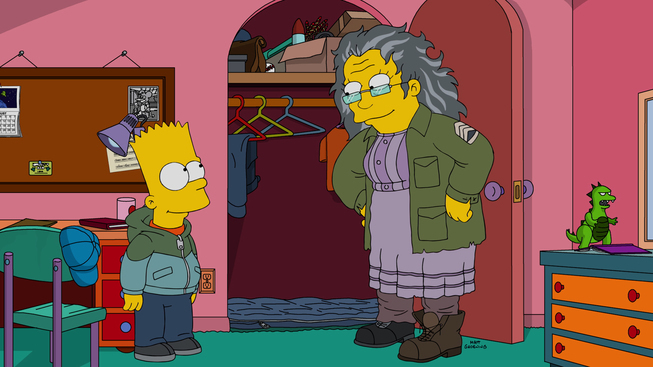 Visit our Wiki page for “The Marge-ian Chronicles“! Visit our Wiki page on Season 27! 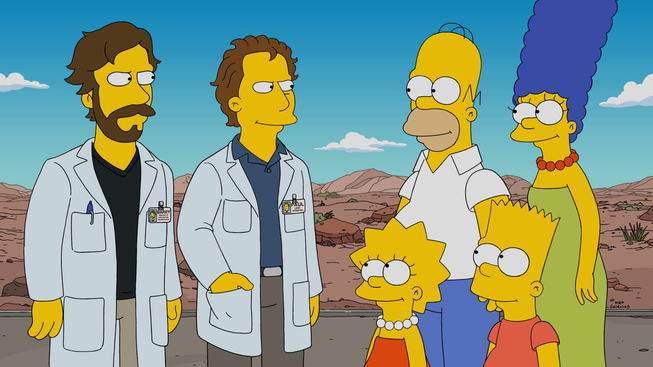 A Teaser for the upcoming 15th episode of season 27, which is titled “Lisa the Veterinarian“, has been released by FOX. The episode airs on March 6, 2016. 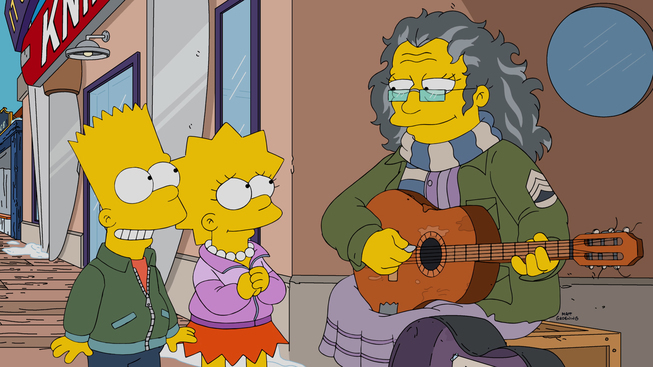 Visit our Wiki page for “Lisa the Veterinarian“! Tapped Out: Burns’ Casino event is here! 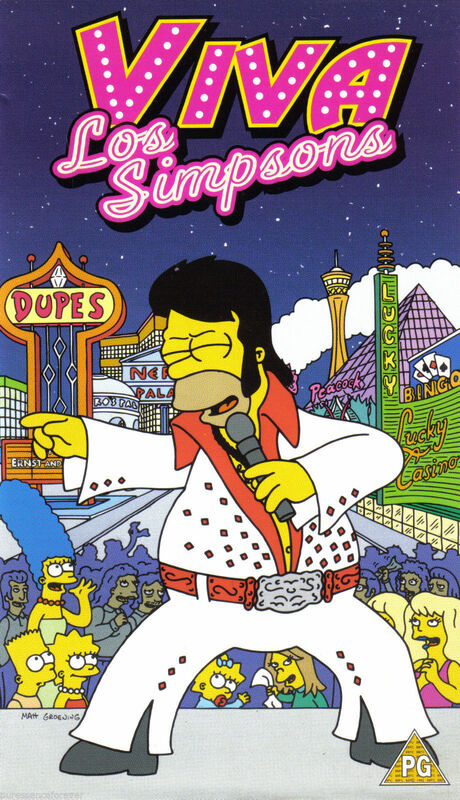 Burn’s Casino event is now live on The Simpsons: Tapped Out! Check our Event page frequently for all the infos you’ll need, we’re updating it as fast as possible with all the infos! 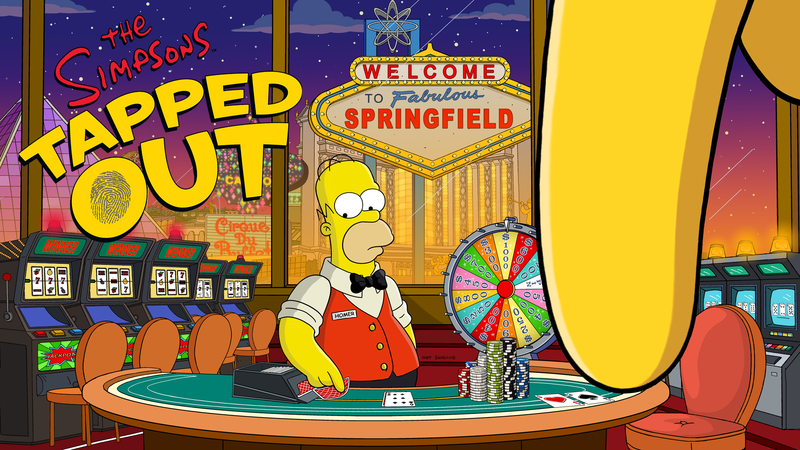 Tapped Out: Viva Springfield update incoming! 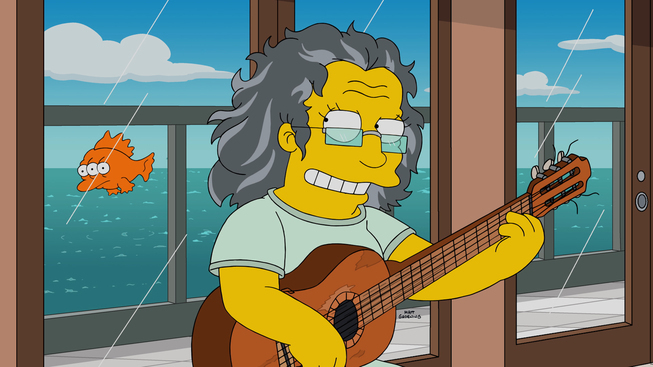 Viva Springfield! Get ready to win big and make mistakes in our next update! 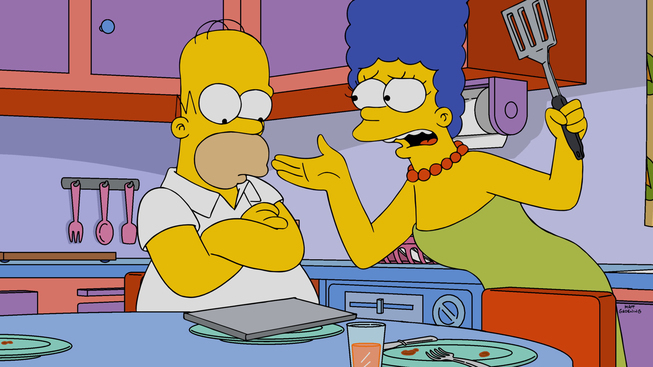 And remember – What happens in Tapped Out, stays on a server forever! Get your town ready now, and be sure to check out the update page right here to see all updates on it as soon as its released! A fourth Sneak Peek for the upcoming 12th episode of season 27, which is titled “Gal of Costant Sorrow“, has been released by FOX. The episode airs on February 21, 2016. Visit our Wiki page for “Gal of Constant Sorrow“! Another Sneak Peek for Gal of Costant Sorrow has been released! Another Sneak Peek for the upcoming 14th episode of season 27, which is titled “Gal of Costant Sorrow“, has been released by FOX. The episode airs on February 21, 2016. A New Sneak Peek for Gal of Costant Sorrow has been released! 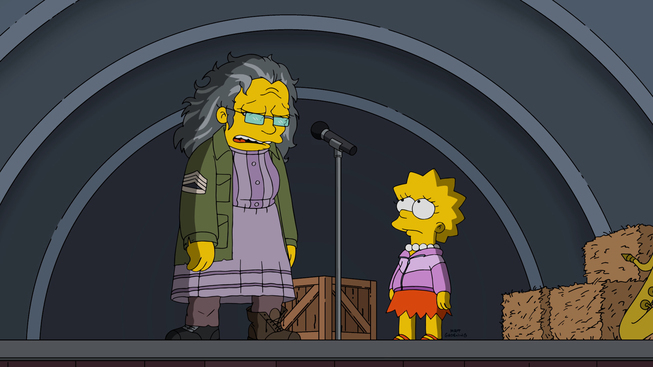 A New Sneak Peek for the upcoming 14th episode of season 27, which is titled “Gal of Costant Sorrow“, has been released by FOX. The episode airs on February 21, 2016. 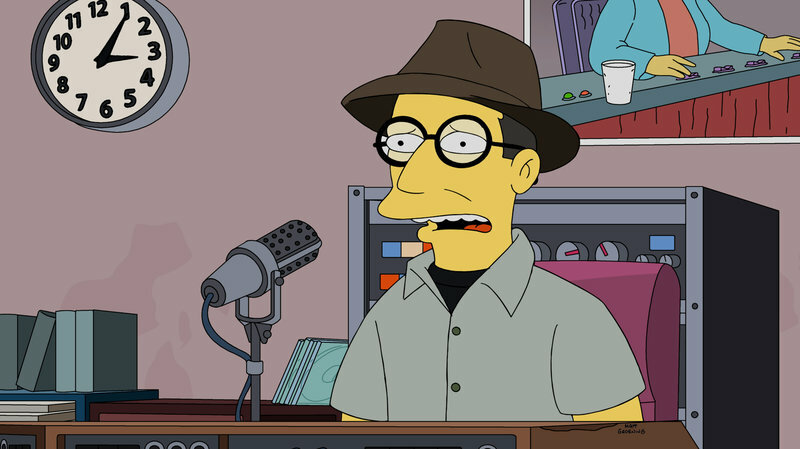 Bob Boilen will guest star as himself in the next episode of The Simpsons! The episode which is titled “Gal of Constant Sorrow” airs on February 21, 2016. FIVE Promotional Images “Gal of Constant Sorrow” have been released! FIVE Promotional Images for the upcoming 14th episode of season 27, which is titled “Gal of Constant Sorrow“, has been released by FOX. The episode airs on February 21, 2016. Tapped Out: The World’s Largest Redwood is here! A new update has reached our game as reached our town as the World’s Largest Redwood is now live, straight from the episode “Lisa the Tree Hugger“, requiring Level 35 to activate! Find out all about the new update on our page right here!